Weed stock investors are breathing easier in 2019 thanks to a rally that has followed general market trends since the December correction. 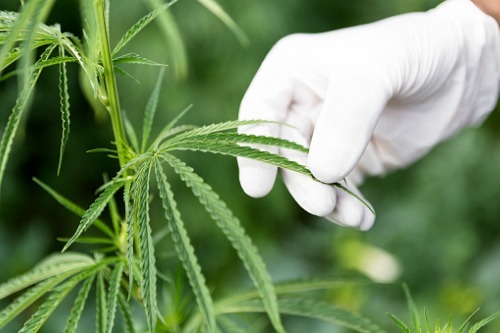 Chris Damas, editor, the BCMI Cannabis Report, took time out from analyzing the sector to reflect on an eventful six weeks since he went bullish post “bloodbath” on December 21. Cronos has now joined Canopy as a sector driver thanks to Altria Group Inc acquiring a 45% stake for $2.4 billion. The American company is one of the world’s largest producers and marketers of tobacco and cigarettes, and its move into the marijuana field has, according to one report, created a “cannabis behemoth”. Canopy, of course, joined forces with Constellation Brands last year and Damas said both Canadian firms have now been de-risked by now having such deep-pocketed partners. Weed stocks are on a tear right now – although a pause is expected as we enter earnings season – and Damas can see no reason why the current ascent will slow down. “It’s more of a sector call at this point,” he said. “You can pick stocks, and I do, but at the moment, most of the return is correlated with how well the sector is doing. While Damas says there isn’t much to avoid as stocks ride the rally, he has picked out some names to either take profits from or to buy. Here, he explains his picks to WP. “Aphria has been up steadily and, recently, very strongly on speculation that a ‘deal’ is in the offing from a bigger company but the only deal is the Green Growth Brands offer. “The main catalyst for Aphria going higher would be getting a sales licence (technically a commercial amendment to the licences), for Phase IV and V of Aphria One. “Moncton-based Organigram believes it has the largest share of adult use cannabis sales in New Brunswick and expects to fulfil its contract for 5,000 kg to that province this year. “Organigram announced a promising Q1 2019 ending November 30 with $12.44 million in cannabis revenues net of excise taxes. “The company has guided for sales to double in Q2 over Q1 to approximately $25 million in the current quarter ending February 28. “US cannabis producer Green Thumb Industries is positioned to benefit from possible legal recreational cannabis sales in its home state of Illinois. “A pro-legalization bill has been tabled in the Illinois state senate and the new governor J.B. Pritzker is pro-cannabis. The stock has been weak as additional subordinate voting shares were released for sale and probably have been hitting the market since mid-December. “The stock is up more than 72% since I recommended it on December 28 with our inaugural BCMI Cannabis Report website ‘recommended’ list. “Aleafia Health (ALEF:TVX), Emblem's friendly merger partner was also up strongly on volume to $2.12. “The offer for Emblem is for 0.8377 shares of Aleafia worth $1.77 at the closing price so Emblem closed at a 17.5% discount. “This is by no means a done deal with the shareholder meeting on March 6 requiring a two thirds majority vote. “A superior offer could always come from another larger company although Emblem has traded at a 15% or so discount to implicit value signalling not going to happen.